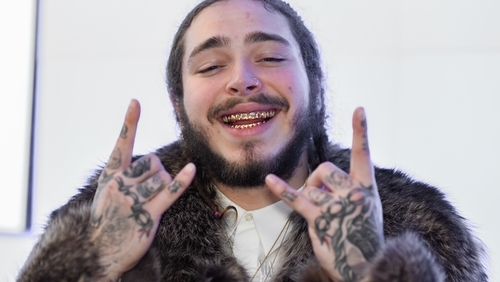 He's already kicking off his European tour at Dublin’s 3Arena this Valentine's Day and now New York rapper Post Malone has also announced an outdoor show at the RDS Arena on August 22. Tickets priced from €75.75 go on sale this Friday February 15th at 9.00am. The genre-hopping performer last played Ireland when he appeared at Longitude in July 2018 and his latest album, last year’s Beerbongs & Bentleys, debuted at number one on the Irish charts. Post Malone also featured in the soundtrack to Spider-Man: Into The Spider-Verse, which won the Best Animated Film award at last night's BAFTAs. He also performed with The Red Hot Chili Peppers at last night's Grammy Awards.